Now Open in Canton, Michigan. • Nice, Friendly environment to try pure vegetarian food. Starting from $5.99 + taxes. Balaji is a multi-cuisine restaurant with branches in Mumbai. 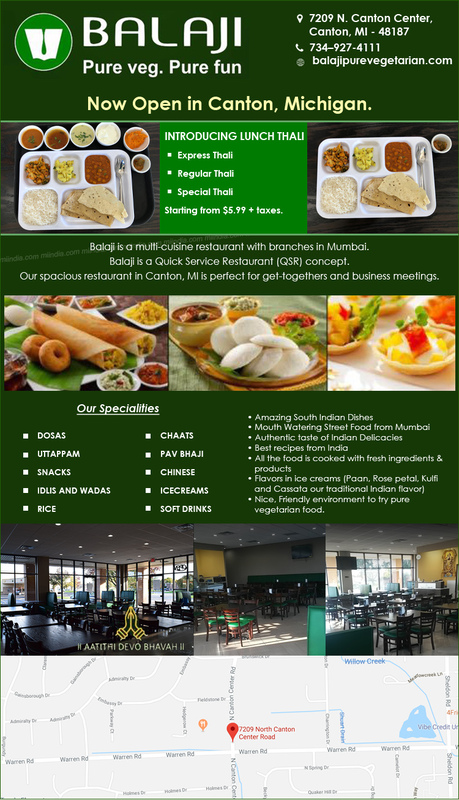 Balaji is a Quick Service Restaurant (QSR) concept. Our spacious restaurant in Canton, MI is perfect for get-togethers and business meetings.